Eric Knight has taken the contemporary appropriate “do-it-yourself” attitude to a whole new level. Opening for acts including KISS, Dave Matthews Band, Aerosmith and Kid Rock, Knight has worked tirelessly to introduce his original music to the masses. He recently walked away with Outstanding Male Solo Artist bragging rights at the Rockies Awards in Hollywood. Dressed to kill in a sharp suit and tie, he offers a decidedly unbridled take on rock that remains tastefully aware of rock and roll’s pioneers but determined to redefine it even as he picks up the torch. Knight is currently working on his third album, Delusions of Grandeur, slated for release later this year. 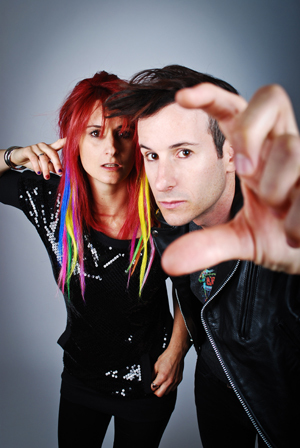 Satellite Sky is the musical vision of Australian siblings, Pete Kicks (vocals/guitar) & Kim Kicks (drums). It sees an exploration of their rock n roll influences with a grandiose flavor akin to artists such as The Verve and Bowie, while drawing on raw elements of Supergrass and The Hives. 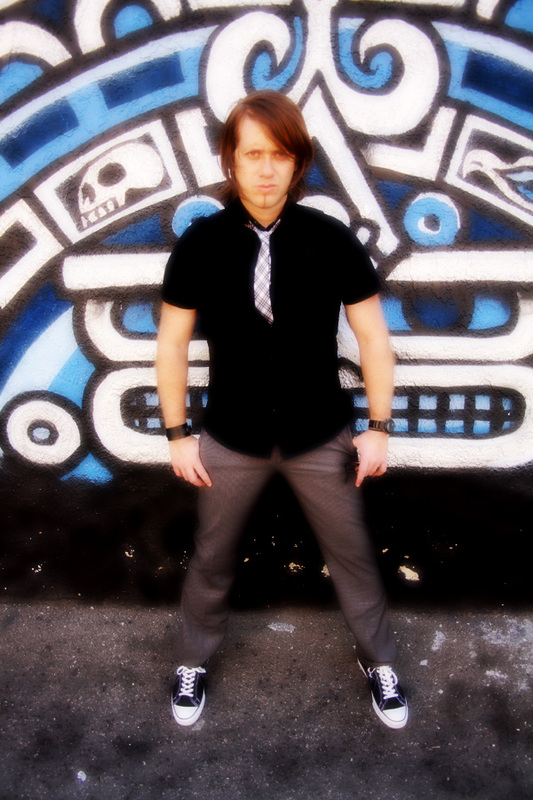 Working with producer Paul Lani (U2, Motley Crue, Prince), Satellite Sky released their debut EP in May 2011. Widely acclaimed by both industry and fans alike, they have significantly increased their reputation as a formidable songwriting force. Two of the tracks, ‘I Like It’ and ‘With You’ can be heard in L.A Film Festival winner ‘Almost Kings’. The Band will also feature in the forthcoming music documentary ‘Rockin The Wall’. 2011 saw the Band touring throughout the U.S, including several standout showcases at SxSW in Austin, Texas and CMJ Festival in New York. Anchored by what many industry insiders regard as “one of the best female drummers on the planet”, Satellite Sky has a stage show that leaves audiences with the knowledge they were witness to an extraordinary Rock ‘n Roll experience! Bo livian export Ignacio Val made his initial mark upon the public’s consciousness when he joined legendary Franco De Vita on tour throughout South America to duet on one of Franco's greatest hits, “Si La Ves.” Since then, Val has played throughout Southern California in key venues including The Whisky a Go Go, The Temple Bar, The Gig, The Rumba Room, B.B King’s, The Joint and The Good Hurt, among others. 2010 has already been an incredible year for the rising star, who has made multiple TV appearances on Univision’s Primera Edicion and Tu Estilo. Performing also with international superstars such as David Bisbal and Alejandra Guzman. Ignacio’s supercharged shows, songs and charisma combine to cultivate a Latin superstar-in-the-making. Ignacio’s star has been shining as of late. He has recently become the world wide ambassador to World Vision a charity that helps place orphaned children and he has also become the face and image for Entel Communications in South America. His songs are currently charting in South America along side acts like David Guetta and Lady Gaga.